Description: Demonstration July 29, 1967, Hattiesburg (Miss. ), to protest the shooting of Lonnie Charles McGee on July 27 by patrolman Willie McGilvery. Part of activities associated with July-August economic boycott of city buses and businesses. Rev. 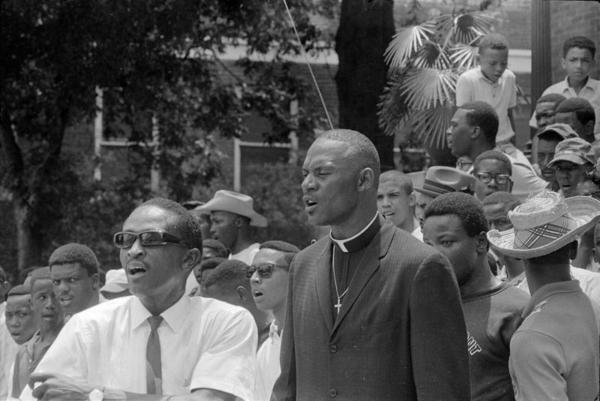 Milton Barnes (in shirtsleeves and sunglasses) and Rev. J. C. Killingsworth (in dark suit) lead the march.